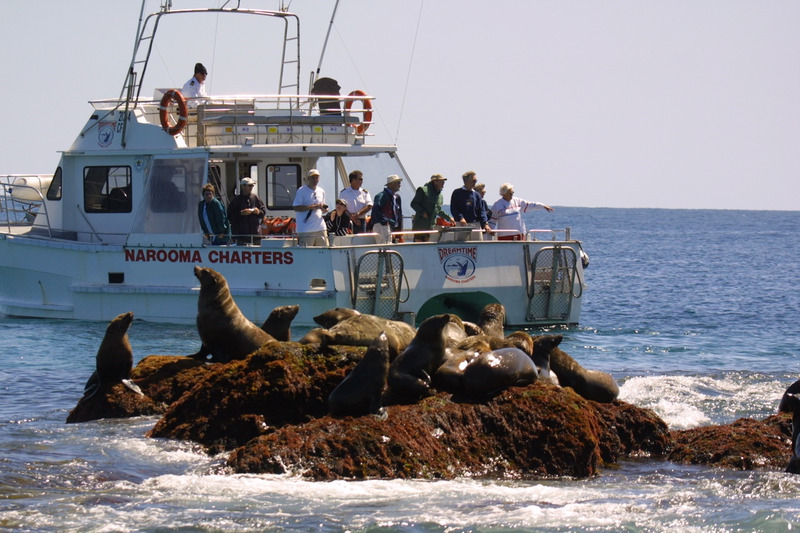 Narooma is in the middle of the mollusc producing estuaries and rivers of Southern NSW. The snaking trail between Shoalhaven and Wonboyn is known as Australia’s Oyster Coast and every May, oyster farmers from this fertile region congregate to shuck off their best to a ravenous public for the Narooma Oyster Festival. You can knock back the good stuff anytime of the year though. 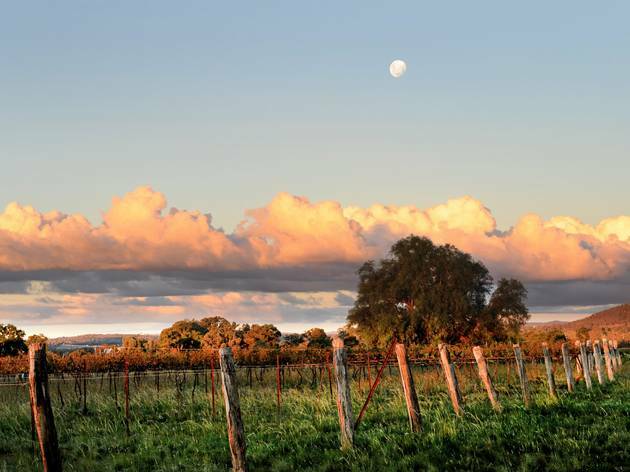 While you’re enjoying the creamy jewels of the many local oyster farms why not explore more of this idyllic area? While you're down there, have a look-around the crystalline waters of Shoalhaven. Or if this has got you itching for a holiday but you want to stay closer to home, here are some ace staycations right here in Sydney. 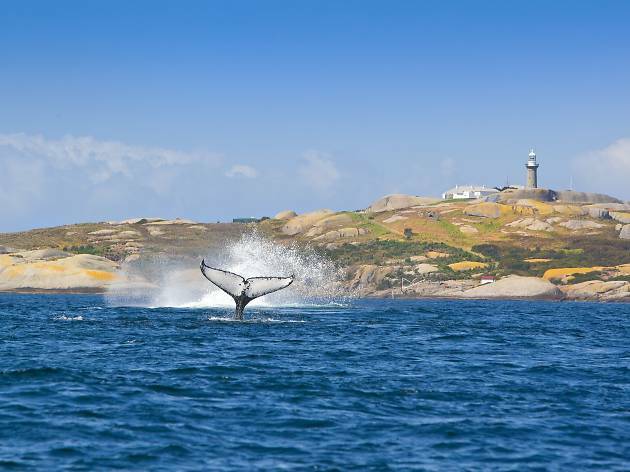 The stunning Montague Island became a national park in 1958 after eco damage from whalers and sealers, who introduced rabbits and goats for food. The National Parks and Wildlife Services have reintroduced native flora and eradicated damaging pests, making it suitable once again for fairy penguins to roost, rare seabirds to mate and fur seals from New Zealand and Australia to bask on the rocks. The local Yuin people believe Montague Island is the son of Gulaga, a mother volcano, who watched her son attempt to run away from home only to make it 9km out to sea. The escarpment is made of the volcano’s spewed-out pumice and jagged rock and was traditionally a men’s initiation site and hunting area. 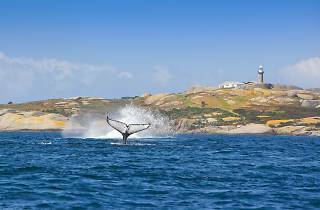 A lighthouse was built in 1881 from a ‘one rock quarry’ and you can have the full Round the Twist experience with guided visits and boutique accommodation packages. 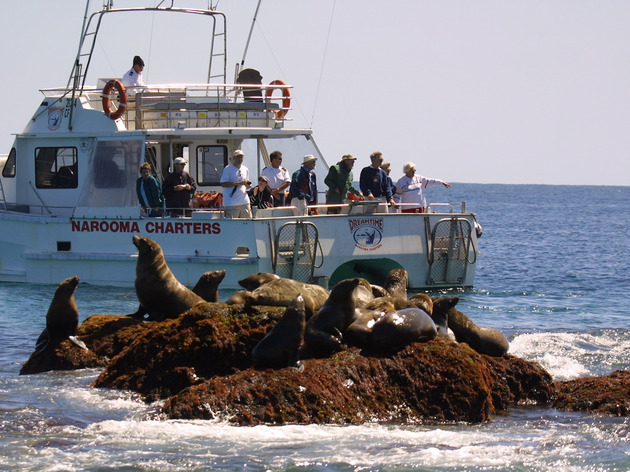 Getting there is an easy boat ride with Narooma Charters, a jovial, bouncy trip across the sea during which you can spot turtles, sunfish, dolphins, and whales. The charter also offers guided snorkelling services so you can don a wetsuit and get rubbery with the hooting seals in the sea. If you’re wanting to stay on the mainland, Narooma has loads of gentle activities, lovely beaches and bushy walks. Sashay along the boardwalk to Bar beach or cop an eyeful of the beautiful Glass House rocks, you will also be rewarded with an Instagram-perfect oasis with the ‘Australia rock’, a natural opening in a gothic looking geological mound that resembles the outline of the country. If you’re lucky you might even catch a seal sunning itself on one of the craggy boulder edges. 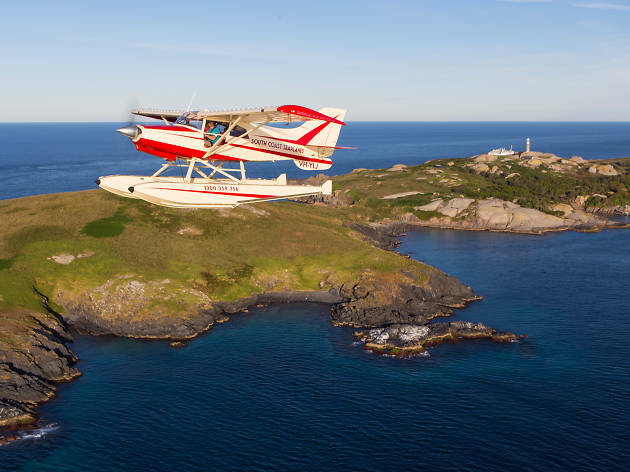 If you’re feeling posh and flush (or in a large enough group to warrant such an extravagance) hire a sputtering joyride from South Coast Seaplanes. 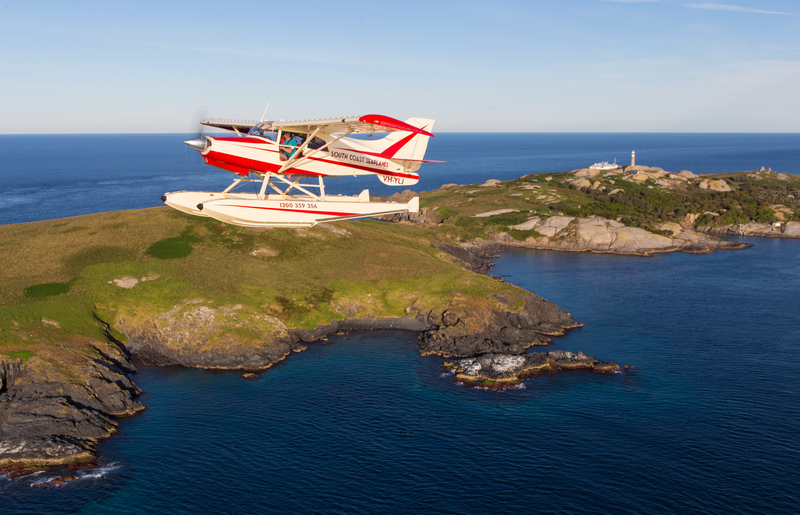 Director Tim Gilbo lives locally and knows that there aren’t many better ways to cop an eyeful of this dramatic coastline than flying above the glittering estuaries and dipping alongside the romantic shores. Jolt into your weekend morning with an espresso from Bound to Earth Vintage Espresso Bar, . Everything here is locally sourced, from the coffee beans to the small amounts of artisanal groceries, honey, milk from the nearby Tilba dairy and on our visit, even cute little packages of local quail eggs. In-house chai, crunchy bread and small farm supplied bacon and eggs are perfect for a local produce sampling breakfast. Visit the idiosyncratic décor of the Quarterdeck Narooma for lunch with a view and a local craft brew. Housed in the historic boat sheds on the shores of the Wagonga Inlet, you can eat hovering above the very water your oysters have been plucked from that morning. The Quarterdeck has retro, fruit tingle furnishings and a fun and friendly atmosphere, catch live music here in the evening and delicious snacks and mains from the best of local seafood to tapas. The Whale Restaurant is your pick for dinner, with South Coast surfie-chef Matthew Hoar serving up foraged native ingredients and small producer gems in creative and delicious ways. 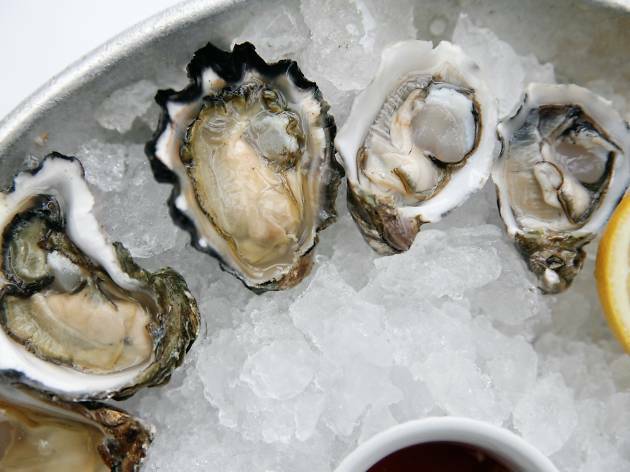 A visit to the Oyster Coast wouldn’t be complete without sampling the local juicy gems. Try the Narooma native oysters the Angasi, a meatier, almost smoky flavoured mollusc in a purple-hued flat shell. There’s also many varietals of the classic Sydney Rock and introduced species Pacific plucked from neighbouring waters and tiny farms from around Marimbula, Pambula, the Wagonga inlet and more. Want the full comparative study and comprehensive taste experience? Book one of the many farm tours on offer. Brett Weingarth who goes by the moniker ‘Captain Sponge’ offers boat rides with creamy, freshly shucked samples with loads of fascinating oyster info on his Magical Oyster Tours through the abundant waters of his Pambula farm. If you’re an oyster fan, it’s certainly hard to beat guzzling one down freshly plucked and shucked from the water. Narooma is a five-hour drive south from Sydney via the Princess Highway and A1.